The last FIFA game was pretty well received. 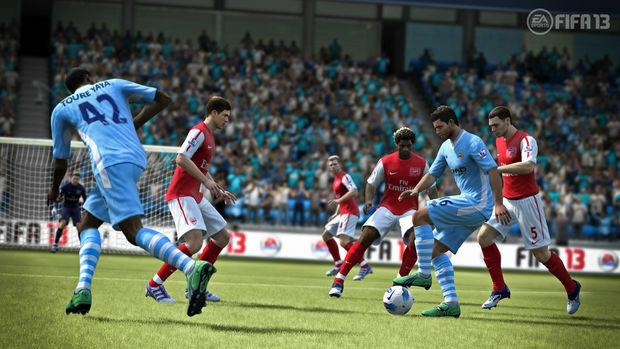 Accordingly, much of what I saw for FIFA 13 seemed to be more of a refinement of FIFA 12 than a complete overhaul, although I’m sure this is what most players are expecting. The last FIFA I’ve played extensively was FIFA Soccer on Vita, which I’m told is based on FIFA 11’s mechanics. Though I’ve only played a few matches of FIFA 12 among friends, I was shown a presentation that highlighted some of the changes between last year’s game and FIFA 13, all of which point to an even more realistic soccer experience. New game modes and the like are still under wraps for the time being, but I was shown a lot of the core gameplay changes. First, the new attacking intelligence causes AI to commit to attacking when it believes the situation calls for it. In FIFA 12, your teammates’ AI would constantly reassess the situation relative to where you were moving as the ball handler, which led to awkward shuffling and repositioning and could stop an attack dead in its tracks. Now, the AI will read how the defense is positioned and decide whether or not to set itself up to score or to try and draw defenders out of position. Also helpful is that the AI makes a point to stay onside when breaking towards the opponent’s goal by either curving their route forward or by slowing down their run. This also gives a great contextual clue to know when a teammate is most receptive to a pass. Players curve their running directions a lot more in general now. 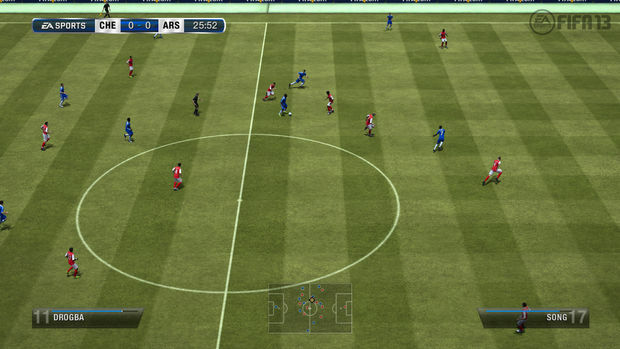 In FIFA 12, a player faced with opposition directly ahead would either cut diagonally left or right and continue in a relatively straight line, whereas now the AI allows for them to curve around the person in their way and then back around to where they were running. Speaking of receiving passes, trapping balls has been addressed, too. 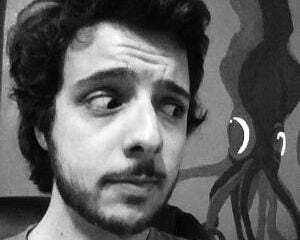 In FIFA 12, players -- even less skilled players -- were often unrealistically able to trap passes either when running in a full sprint or when taking a pass over the shoulder, without looking. Now, an individual player’s skill, speed, and awareness are all taken into consideration when it comes to them receiving a pass and getting control over the ball. Once you do have control over the ball, the dribbling mechanic has been evolved to allow full, 360-degree control; that is, you can even dribble while moving backwards and screening the ball. There is a contextual-based automatic dribble that slows down your dribble and gives you more control when you are faced up with a defender, and it can also be manually activated by hitting both triggers. With this, things like shielding work a lot better. The tackle button has also been subtly altered in conjunction with the second generation of the game’s physics engine. The tackle can be used to jostle players you’re up in tight against, which can lead to them losing possession. Players also use their entire bodies now to block impending plays when using the tackle button without someone in the immediate vicinity, as opposed to just sticking their leg out and being left immovable and useless. 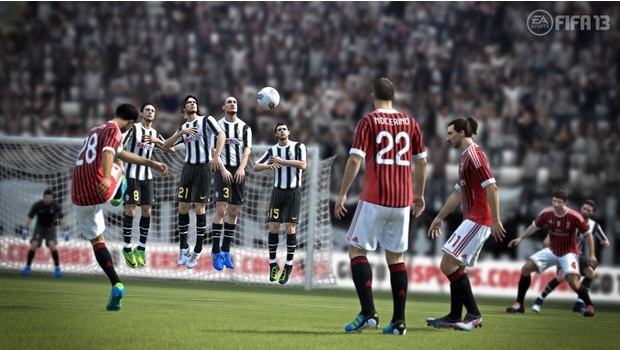 Free kicks have seen an overhaul, too, with what is being called the “tactical free kick” system, in which you can position up to three attacking players for all sorts of fake kicks, passes, and other gambits. Defending players can easily add or remove players from the wall, slyly try to edge the wall forward, or send someone to intercept a pass or block a shot. In addition to these noticeable, albeit subtle, core gameplay changes, EA is pushing the social aspects of FIFA 13 even harder than ever. With over 11 million users connected to EA Sports Football Club, this makes sense. 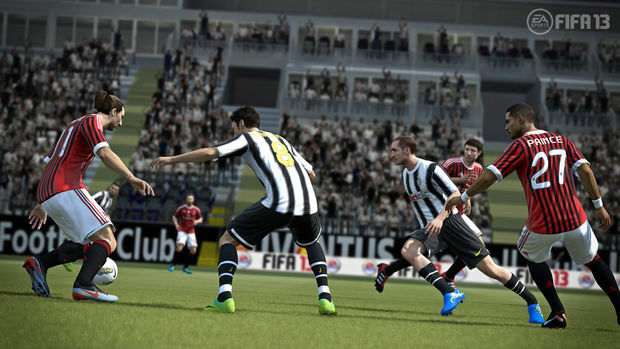 Anyone who has FIFA 12 will be able to carry over XP and have access to a catalog of varied items to buy from. I don’t see any reason why existing FIFA fans should stay away from the next iteration. Things are progressing smoothly.